So what of all the other bits of additional content? Well, if you buy the retail boxed Knights of the Nine you'll get them all bundled in so we decided to see which ones were worth spending time on and which were a bit naff. 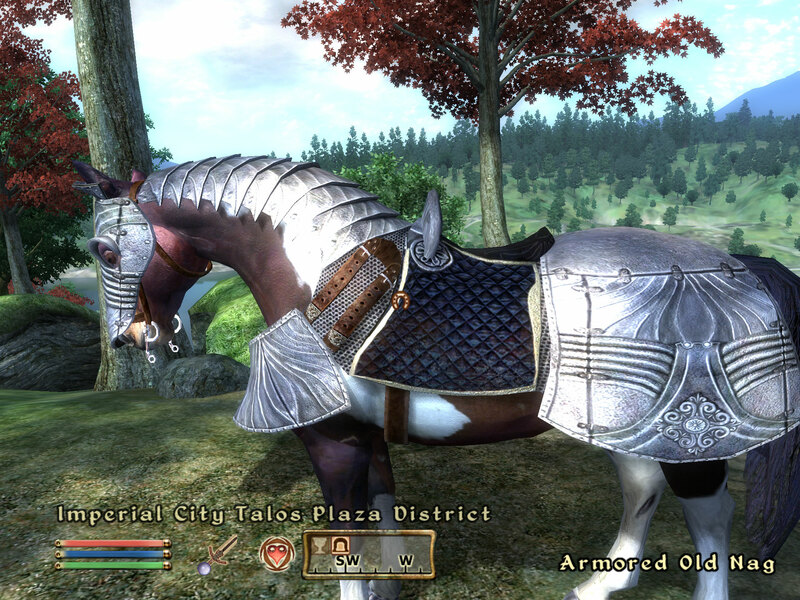 The first thing you will need to do is upgrade Oblivion. On the disc there was a patch which was supposed to upgrade the game to 1.1, required for the addtional content. However, I came a cropper in that I couldn't get the patch to install. 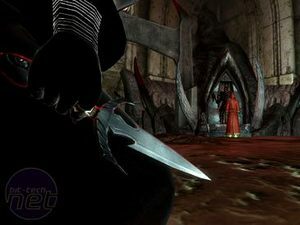 A lot of frustration and a bit of investigation later and I came to the conclusion that the patch found on the Knights of the Nine disc was incompatible with my UK version of the original game. I proceeded to download the UK patch from the net and installed it straight away, no problems. Bit odd that the patch on the disc didn't work though? 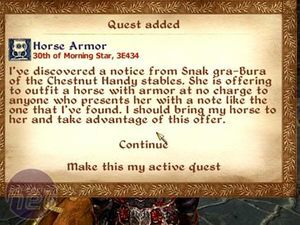 The horse armour does exactly what it says on the tin, and allows you to buy your trusty steed some protection. 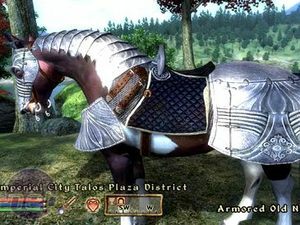 It's a bit of a boring patch really, and led to a bit of an uproar when it was released, with gamers questioning whether Bethesda could justify charging for such a small upgrade. 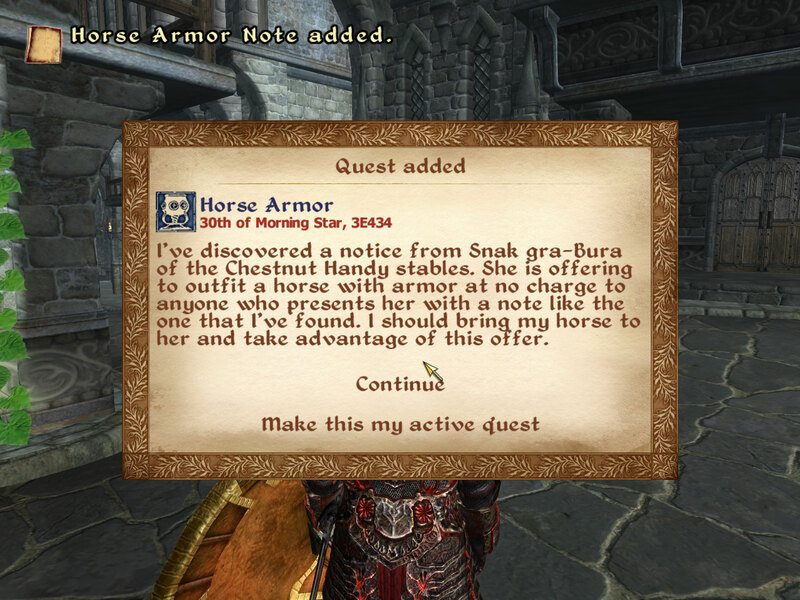 Seen as though it comes as part of the bundle though you can't really turn your nose up and if you've got some (in-game) cash you can kit out your horse. The Thieves Den content is one of my favourites. 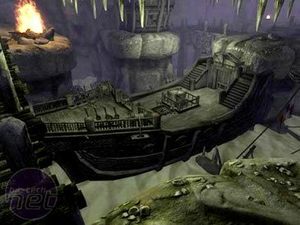 Designed to help all those who fancy a life as a thief, the Thieves Den starts you off by sending you to Dunbarrow Cove. 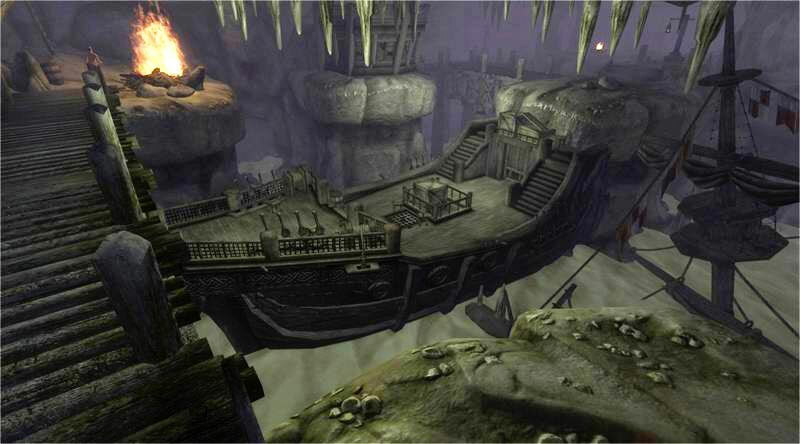 In this underground cave you find a ship, which, according to the story, belonged to a famous pirate many years ago. Your first task is to clear it of the walking skeletons that are dotted everywhere. With that done you take ownership of the place. 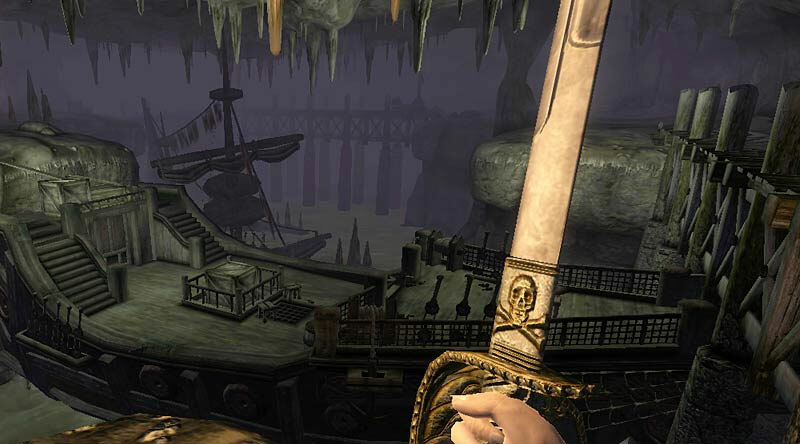 Not only is this a great area for you thief character to find weapons but it's also handy if you want training in the thief skills, security or marksmanship for example. As you'll see is common with the additions, each one is focused towards a particular type of player. If you enjoy using stealth to get through missions then this really is a must have update. You'll be stealing from houses and getting away with it in no time at all. I thought this was a fun addition and enjoyed the fact that you can send other thieves away to steal for you! 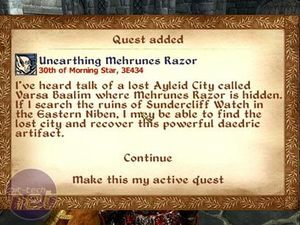 The Mehrunes' Razor addition is one for everyone - it is quite simply a bloody big dungeon with a few nice rewards scattered throughout. The stoy, which is never really thrust in your face, is that a group is threatening the Imperial Rule and you obviously have to put a stop to that. 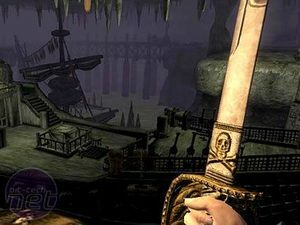 The dungeon is huge and could quite easily provide a few hours of gameplay (unless you're like me who puts it on the easiest setting and kills everyone with one swipe). 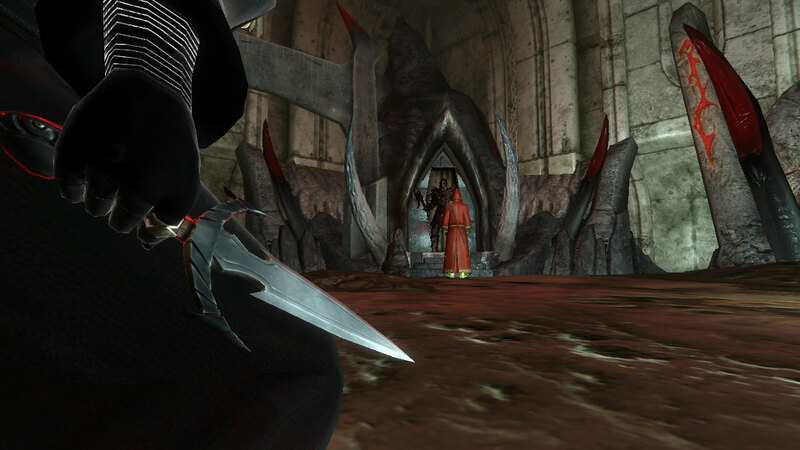 Once you reach the end of the dungeon you eat a heart and then face a boss. The payoff? A razor so powerful that even Gilette are jealous.